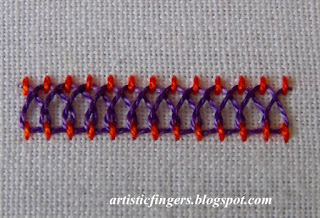 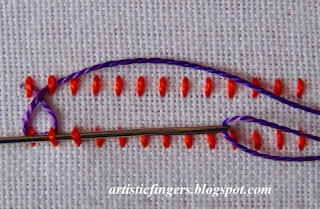 Step 1 – Work two rows of straight stitches as shown. 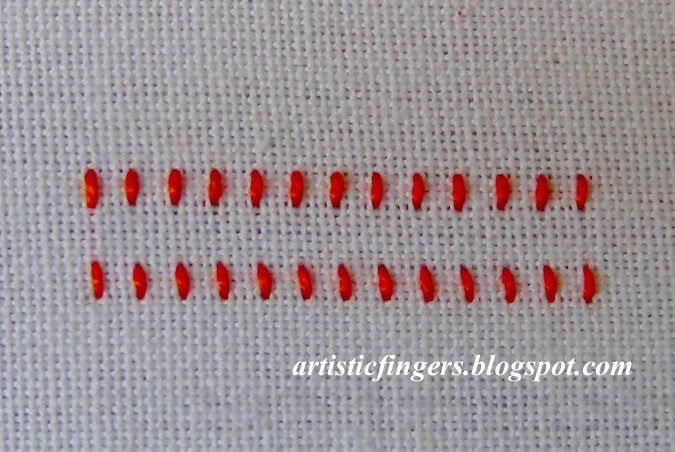 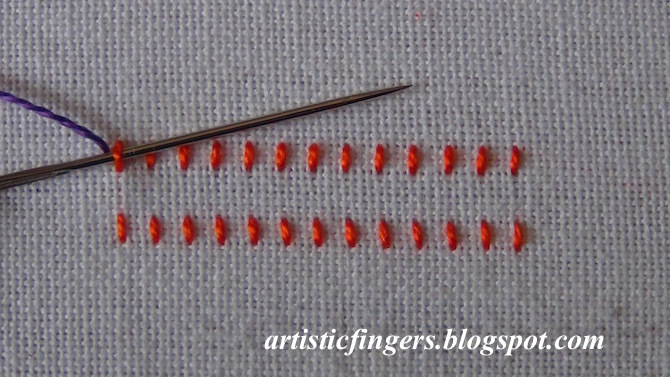 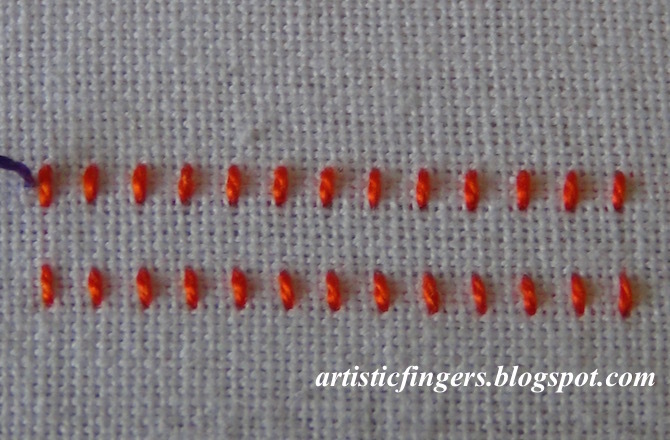 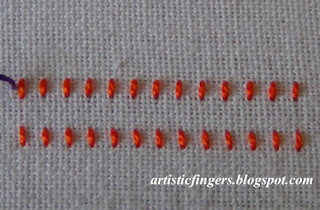 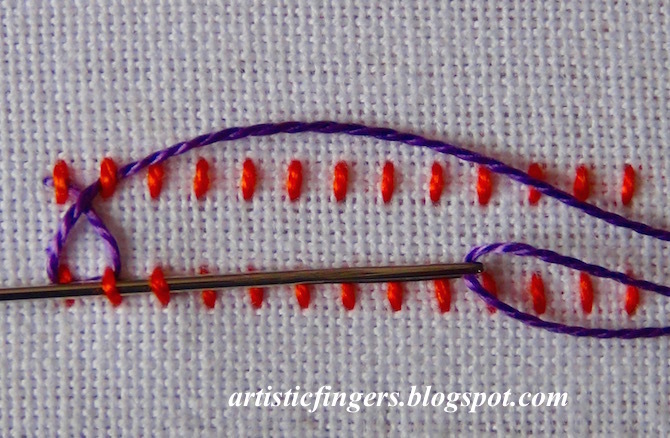 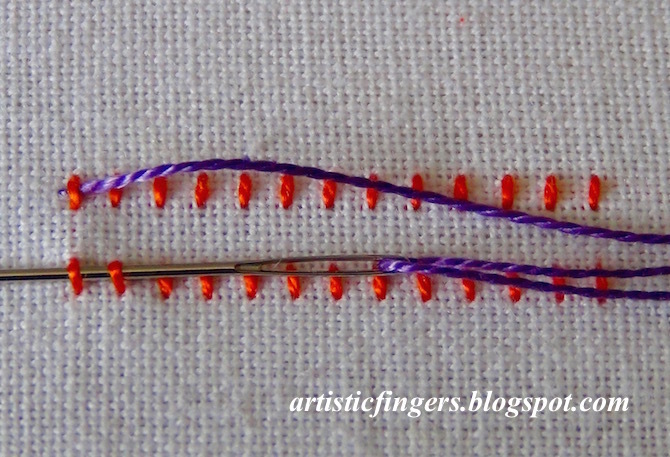 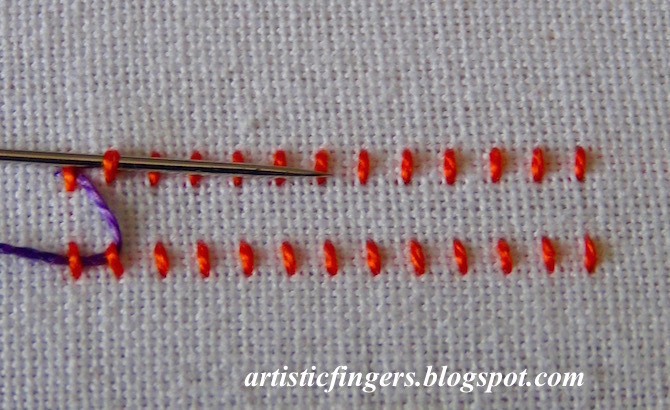 Step 2 – Thread the needle with a second colour thread and bring it up close to the first stitch of the top row. Step 3 – Pass the needle through the first stitch of the top row from left to right without picking up the ground fabric as shown. 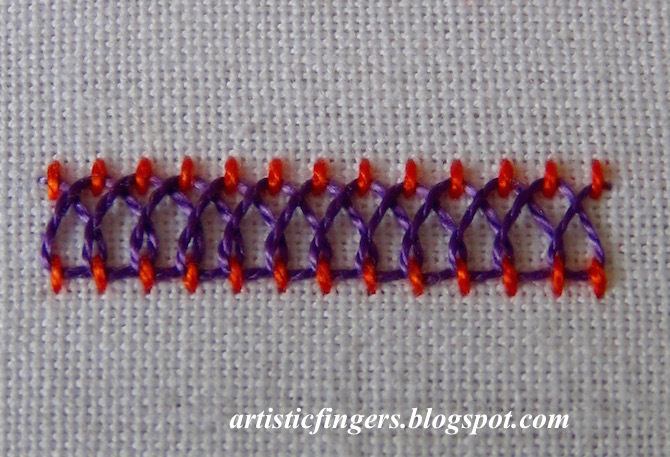 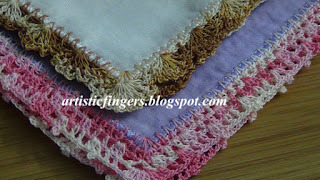 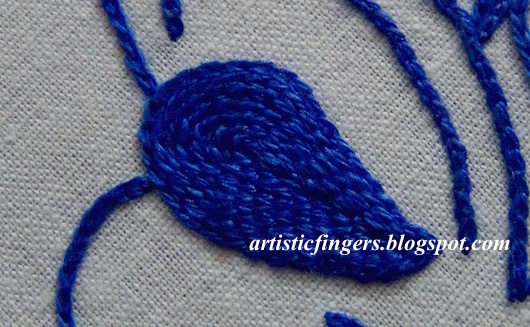 Step 4 – Pass the needle through the second and first stitches of the bottom row from right to left as shown. 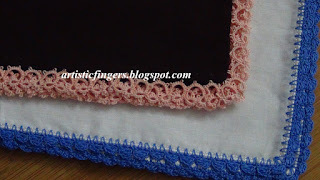 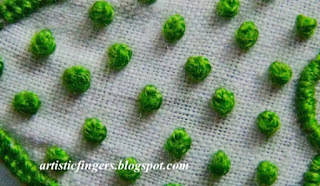 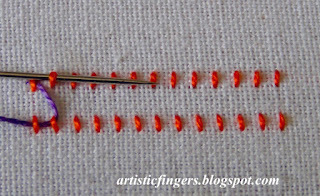 Step 5 – Pass the needle through the next stitch of the top row from left to right without picking up the ground fabric as shown. 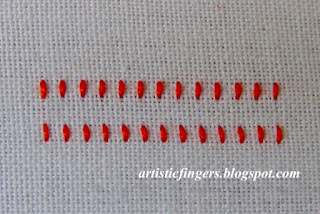 Step 6 - Pass the needle through the next set of stitches (third and second stitches) of the bottom row from right to left as shown. 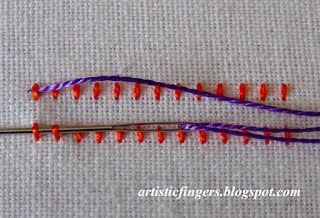 Step 7 – Repeat steps 5 and 6 until end. 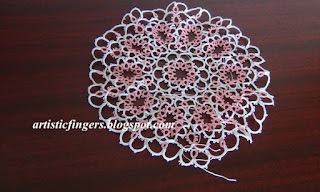 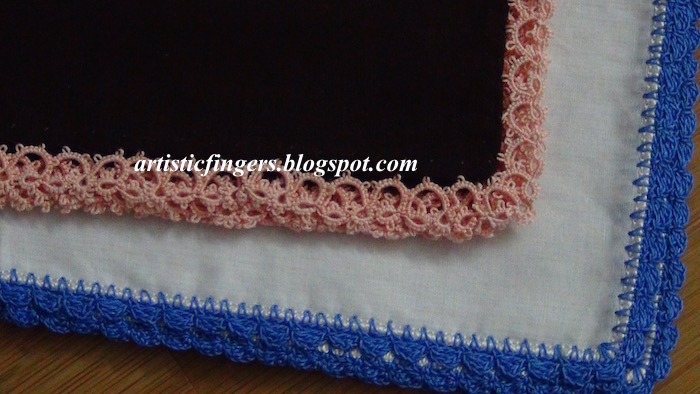 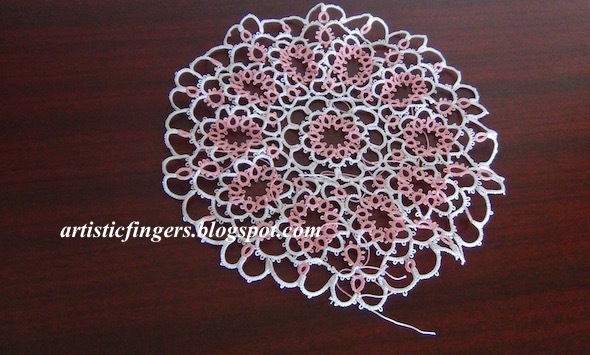 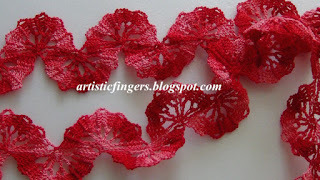 lately I've been spending more time with shuttles and hooks :-) ..finished some laces,edgings and a doily from an Ondori book.